Our goal is to connect people with the best local experts. We scored wedding photographers on more than 25 variables across five categories, and analysed the results to give you a hand-picked list of the best wedding photographers in Costa Mesa, CA. A. Niesing Photographer provides professional and creative wedding photography services to clients in Costa Mesa and the surrounding areas. Owner-photographer Andre Niesing photographs all weddings and loves his job, and feels that shooting people is one of life’s most significant rewards. Andre realized he was meant to photograph people when he saw a bride and new mother get emotional after seeing how he had captured them. His goal is to make people look like rock stars, and uses creative and stylish as words to describe his photography. He uses a photojournalistic approach to capture moments and feels every photo of every person should be unique. Former and recurring customers recommend the services of Barnet Photography because of the company’s dedication to customer service, the friendly yet professional photographer, and the overall high-quality of the images once they are finished being retouched and edited. Multiple photographers work for the company and enjoy using an organic photojournalistic approach to capture their clients’ special moments and memories. Individuals interested in learning about the photography industry can register for workshops with the company and can choose from many different services such as picture taking for weddings, engagements, and personal or family portraits. The images from Barnet Photography have been published in several professional sources. Bow Tie and Bloom is a wedding photography owned by a married couple, Amanda and Ragi, who believes in capturing sweet memories and the love between two people on their wedding day. As professional photographers, clients are assured that they get to have high quality and resolution wedding photos. It usually takes about 6 to 8 weeks for the complete images to be delivered, but they guarantee that they are doing their best to have photos sent on time. Clients can also get the rights to the images. During the client’s wedding, the photographers will usually take around 3,000 to 5,000 photos to ensure that every nice and memorable detail is captured. The images are then edited before final delivery. Clients are required to make a 50% deposit, and dates are on a first come first serve basis. Chris Glenn Photography is a full-service photography studio that specializes in destination weddings. They are based in Costa Mesa but travel with clients to photograph their weddings around the world. Chris Glenn Photography wants to capture authentic portraits of the couples they serve and stands by a 100% customer satisfaction guarantee. They have been published on Junebug Weddings and featured on 100 Layer Cake and are committed to providing warm, welcoming service for their clients. Chris Glenn Photography encourages new clients to contact them and is willing to travel anywhere in the world to attend a client’s wedding. They have received positive customer feedback for their calm demeanor and attention to detail. Elvis Yu Photography is an Irvine, California based wedding and engagement photographer that travels to a wide range of destinations throughout the world on behalf of its clients. Owner and lead photographer Elvis Yu is a graduate of the University of Michigan and has been photographing professionally for over two years. Past clients of Elvis praise his commitment to excellence, his friendly and personable nature, and his affordable prices. In addition to weddings, Elvis specializes in lifestyle, family portraiture, and graduation pictures. He can be reached by phone or through his company website to schedule an appointment or to request a pricing consultation. The owner of Fawned Photo is a bubbly and creative wife and Christian who loves to help couples make their big day an unforgettable and magical experience. Customers can purchase a professional engagement session to capture the beauty and excitement of their love and commitment, and the photographer will find the ideal location, so portraits are filled with natural light and colorful backdrops like flowery meadows, deep forests, and bright, clean beaches. On the day of the wedding, the photographer takes care to capture those special moments as the bride and groom prepare, and craft formal and informal images that show and save the most beautiful moments of the day in soft, glowing colors. The photographer also offers lifestyle and adventure sessions as well as maternity and family portraits, modeling headshots, and newborn portraits. Karl Verkade Photography is managed by Karl Verkade, an Orange County, California-based photographer who specializes in wedding photography. As part of his work, he regularly travels to Los Angeles, San Diego, and the Inland Empire as well as other regions for destination weddings. Wedding packages vary by price point, each differentiated depending on the amount of coverage, addition of an engagement session, and accessories. Karl Verkade Photography offers an a la carte package where destination engagement shoots, bridal portrait sessions, video montages, a third photographer, and other services can be requested. From time to time, Karl Verkade offers specials which cannot be combined with any other specials on external booking sites. Nectar Photography is a professional photography business located in Costa Mesa, California that serves clients in the wider local metropolitan area. The company is a specialist in portraiture photography work, particularly in the outdoors. Nectar Photography is open Monday through Friday and is available for wedding photography coverage. The company offers prospective clients a free quote on its services and can be contacted for booking purposes by phone, via text, or through the messaging system on the company's official website. Previous clients praise Nectar Photography for its ability to work well with children as well as the high quality of its finished product. Petra Calling Photography is the brainchild of Thamer, a photographer born in Madaba, Japan. He shoots with a photojournalistic style, which means he is like a fly on the wall observing and capturing real moments. Sneak peeks containing five to 10 edited images are usually available within 48-72 hours of his clients' events. The complete edited images are ready within 60 days. He adjusts his edited images for color, saturation, exposure, and crop. Thamer considers himself a true Southern California, and he is proud to serve Los Angeles and Orange County photographing weddings and engagements as well as snapping portraits of individuals and families. Sarah Mack Photography is located in Costa Mesa, CA and provides a wide range of wedding, family and event photography services to customers in the surrounding area. Owner and photographer Sarah is passionate about photography because it allows her the ability to capture raw moments and memories that clients will be able to look back on for the rest of their lives. Her style is a hybrid of fine art photojournalism and editorial fashion and she believes that both can be used to capture beautiful wedding imagery. Sarah prides herself on being an artist and constantly creating vibrant and sophisticated images that evoke pure emotion. Steve Cowell Photography has been providing stunning wedding photography services to the residents of Southern California for nearly a decade, with a focus on a personalized approach to shooting that brings out and captures the magic of the moment. Past customers have offered high praise for Steve Cowell and his unique abilities and artistic sensibilities with the camera, creating cinematic and captivating moments that captured the enchanting moments on the wedding day. Previous clients also remarked on Cowell's friendly and personable demeanor, which took the stress and awkwardness out of taking photos. Cowell’s work has been featured in numerous publications such as The Huffington Post, People Magazine, Refinery 29, Modern Luxury Brides and many others. Primarily serving clients in the Southern California metropolitan area, Victoria Johansson Photography is a professional photography business that also travels to clients around the United States and globally. Using a photojournalistic and documentary-like style, the business focuses on wedding photography coverage. 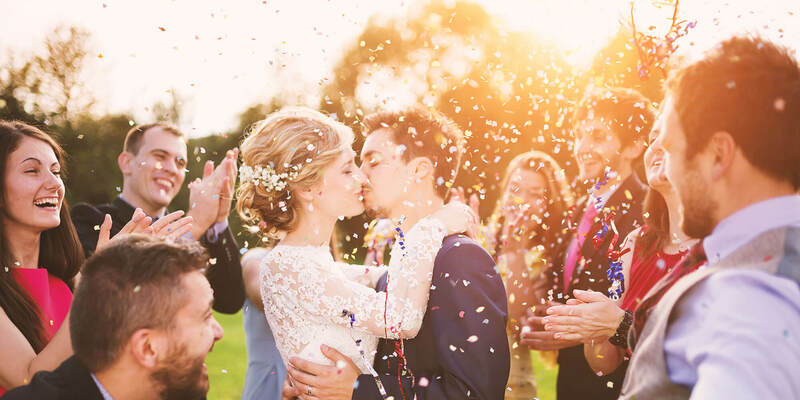 Full-day wedding coverage with Victoria Johansson Photography starts at $3,490, but the company is also available for shorter ceremonies and elopements. Victoria Johansson Photography has a social media presence on Facebook, Pinterest, Google Plus, and Instagram and can be contacted through the messaging system on its official website for booking purposes. The company is rated Five Stars on Wedding Wire.